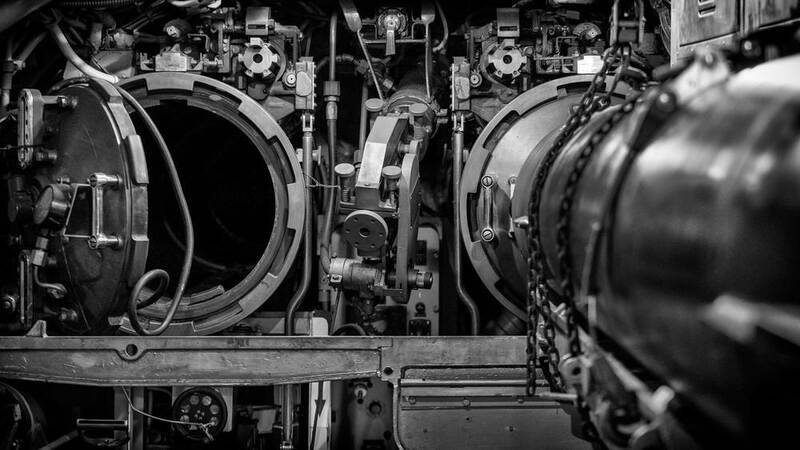 There aren't many places around the United States where you can walk aboard a retired US Navy aircraft carrier or US Navy submarine from the cold war era -- probably because some of those vessels are still in service today! But New York City has become the permanent resting place for two ships who served their country valiantly and I had a chance to tour and photograph both last weekend. The USS Intrepid was commissioned in the fall of 1943 - as World War II raged. She served in the Pacific theater during World War II, sustaining attacks from Japanese kamikaze fighters. After the war, she continued her service in the Atlantic and supported operations during the Vietnam war. One of the most notable accomplishments for the Intrepid includes being the recovery ship for astronauts in the Gemini and Mercury program. The USS Growler (SSG-577) was launched in 1958 during the height of the cold war. Her mission was simple - to carry the Regulus nuclear missiles that would be launched at the Soviet Union in the event of nuclear war. Thankfully her weapons never had to be used and after a short 8 years of service, she was retired.